Lightroom makes it very easy to give an image a dizzying number of treatments in color, black and white, sepia, two tone and cross process styles. Even better they can all be virtual. Existing only within Lightroom until you decide to export an image to the preferred file format. Occasionally I’ll play with an image in Lightroom to see if I can find a more eye catching version. 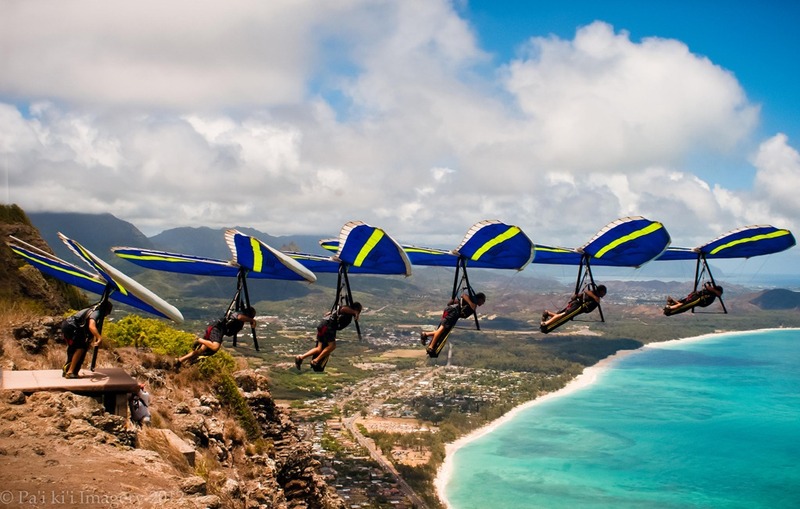 I created a sequence shot of a friend of mine taking off in his hang glider. I’ve made these before but not recently since I’m usually helping them launch. I had a hard time finding a satisfactory B&W because of the ground clutter in the background. The different styles didn’t separate his body enough from the background. I have a sense of depth in the color version that I couldn’t find in B&W. I’m conscience of a person seeing the image for the first time and being confused about what’s going on. Especially since it’s a sequence photo. So which do your prefer? Color or Black and White.